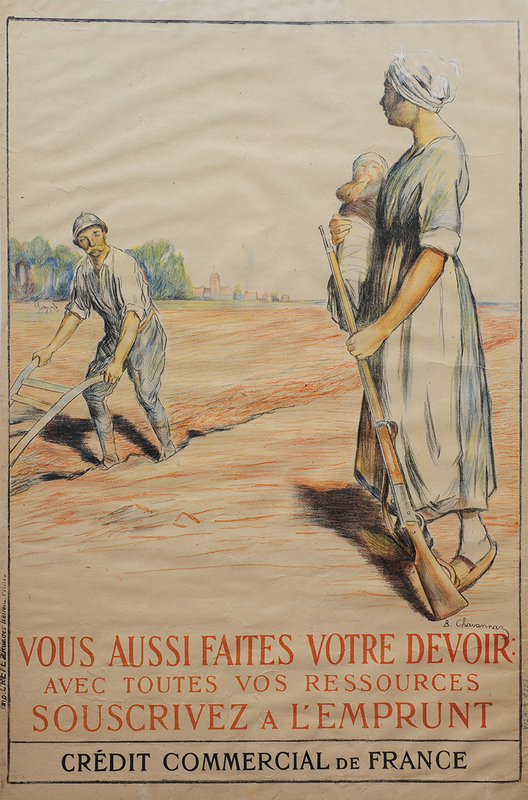 War loan posters were almost certainly the largest category of posters produced between 1914 and 1919. They appealed to civilians’ desire to aid the war effort rather than to any monetary value to be gained and were produced by all major countries and usually issued in series. Subscribers were often given a copy of the actually poster, hence the large number that surivive compared to other war posters. In France they were known as Emprunt National. In America they were referred to as Liberty Bonds, in Canada as Victory Loans, and In the United Kingdom as War Loans.